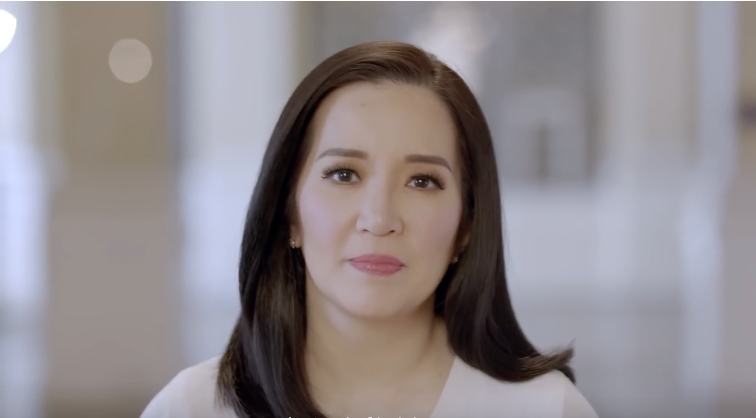 With talks of a perceived run for a seat in the Senate for Kris Aquino, and the recent promotion of her cousin Senator Bam Aquino, what could possibly be the legislative agenda of the former presidential daughter slash presidential sister slash actress? This question was posed by blogger benigno0 in the blogsite GRPundit, after Senator Bam Aquino endorsed his cousin as a winning senate candidate on June 13. No question about it. Kris Aquino will win any election. As the late Dolphy said of celebrity politicians, “Madaling tumakbo, e paano kung manalo?” That's the question Kris needs to answer. "What will she do as Philippine senator? What will she do if she wins?" the blogger said. Bam in the Senate said, “That’s a family decision obviously. Si Kris, if she decides to run, I think she’d win,” he said in an interview on The Chiefs tv show. Aquino when asked if there is room for two Aquinos in the senate, said that they still have to talk about it. Bam said Kris would be “very welcome” in the Senate. “Honestly, kung itutuloy niya itong paninindigan laban sa ginagawa ng mga administrasyon, I think she’d be very welcome in the Senate." The senator said he does not mind having his cousin as a colleague in the Senate as she is outspoken and takes a strong stand on issues close to her heart. Aquino highlighted the need for a strong opposition in the Senate, given the climate of impunity and stifling of dissent under the Duterte administration. “The call of the times is to have a coalition of opposition made up of different parties, institutions and groups. There might be people there who never wanted to run to begin with. The Church has been maligned by this administration and they are very vocal against the extrajudicial killings. I wouldn’t mind if we’d have representatives who represent churches. Not just the Catholic Church, but the religious sector in general,” he said. Meanwhile, Kris has denied the talk of her perceived candidacy following Bam's statement. In a Facebook post, Kris clarified that a foray into politics would mean violating several of her existing endorsement contracts, some of which she has signed on until 2020. She explained that her existing engagements prevent her from seeking any elective posts in the upcoming elections. "Totoo naman po- may takot ako. Takot akong sirain ang aking palabra de honor (Word of Honor) and gibain ang pakiramdam kong mga dapat kong ipagmalaki." She said, "Marunong akong tumanaw ng utang na loob at may #loyalty ako sa mga nagbigay ng trabaho at tiwala sakin."